For online spooks, Facebook Graph Search comes as a wax to their activities. To privacy backers, it is the start of a fresh battle. Last week, Facebook extended Graph’s scope to its over one billion users, sparking fears that the semantic search engine might put the privacy of this huge population at risk. “In the next few weeks, Graph Search will roll out more broadly to everyone who uses Facebook in U.S. English,” the Facebook Team announced on July 8. The product was initially rolled out to millions of Facebook users – a morsel of its members base – following its launch last January. 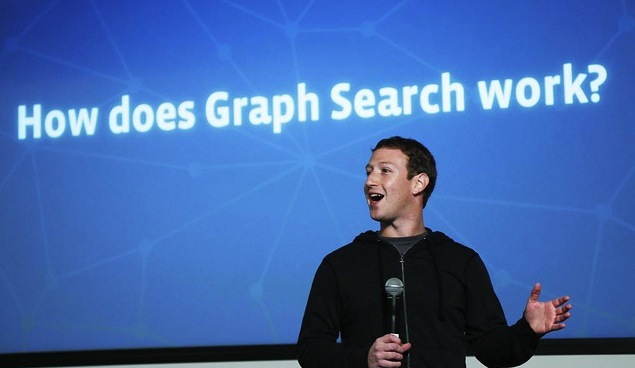 Over the past couple of months when Graph was in beta testing, Facebook netizens were clueless at how developers had gone about enhancing the search engine. The Menlo Park titan only explained a few nifty upgrades to Graph since its inception – that it has improved on four features such as intelligence for understanding queries, speed for displaying suggested searches, results for showing relevant responses and interface for a smoother search. However we despise it, Graph Search has just thrown in a simpler way for the snoops to figure out what Pages, music, movies, TV shows, books or famous personalities their virtual friends like and follow on Facebook. The good news is that, as online marketers have been raving over, this is the most helpful tool to their business. This is a search tool that aggregates private information like home address, places visited, hotels checked in and favorite movies for the consumption of the searcher. Yet, it claims to uphold privacy, or what constitutes private matter to Zuckerberg & Co. But even Facebook’s sense of privacy takes on a weird definition, which I will leave for another day. The bad news is that Graph Search leaves users with no idea about the sort of information being put forward at large. At the very least, there are ways to prevent Graph Search from snooping on your personal information. Visit your Activity Log to check posts and photos that your friends have tagged you in. This works if you’ve enabled Timeline Review, which by default hides contents you’re tagged in and asks your permission first to show these posts on your profile. Here’s the most challenging part; you can either ask your friends to restrict public posts only to an intended audience such as your comfort zone, or untag yourself from the photos or status updates. To alter who can view each of the sections in your About page, work your way down there and change audiences of your favorites, education, work and other private things about you. Making them visible only to your circle is highly recommended. Head over to a friend’s profile page. Hover the mouse over the “Friends” icon without clicking on it and a dropdown menu will automatically appear, providing a list of options to adjust the settings. On the settings pane, uncheck pretty much every activity your friend would wish not to make public, such as life events, comments, likes and photos.